Progressive Utilization Theory or PROUT (logo pictured) is a comprehensive social theory propounded by Indian philosopher and spiritual leader Prabhat Ranjan Sarkar (1921–1990). PROUT is not concerned solely with property rights and economics. Rather, it encompasses the whole of individual and collective existence, not just for human beings but for all beings. This article clarifies and amplifies the five fundamental principles of PROUT. Life eternal: Whence came I, where do I go, and Who helps me on my journey? Sweet dreams: Our universe revolves around Him. His universe revolves around the child. What hurts more: Having once sipped ambrosia, its absence is more greatly missed. Sarkarverse is continually updated with new articles relating to Prabhat Ranjan Sarkar. Not only are old articles improved, but also new articles are added. To see a list of the ten most recent articles, click here or the image to the right. By adjusting the filters you may extend the list of recent articles, and you may also get a list of other recent changes that have been made in various parts of Sarkarverse.
. . . Prabhat Ranjan Sarkar gave a total of 5,018 songs, Prabhat Samgiita, all in the last eight years of his life?
. 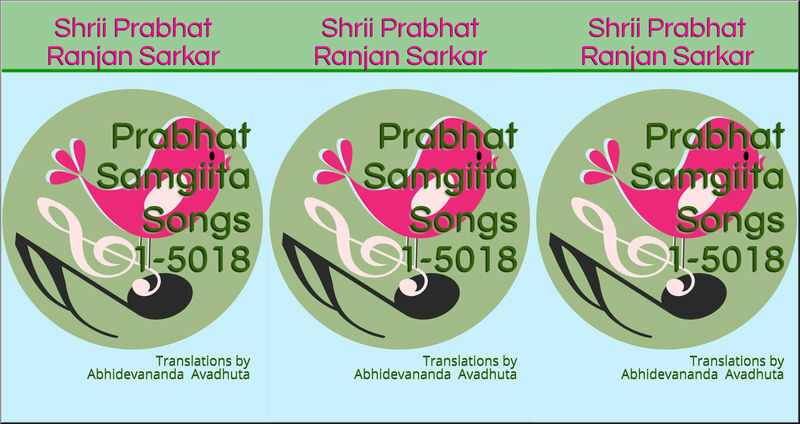 . . the 25 volumes of Subhasita Samgraha (cover pictured) compiles 214 Dharma Mahacakra (DMC) discourses given by Prabhat Ranjan Sarkar?
. . . PROUT Films is another project of AmRevolution, Inc., dedicated to the production and distribution of films on Prabhat Ranjan Sarkar's Progressive Utilization Theory? This page was last edited on 18 July 2017, at 01:21.